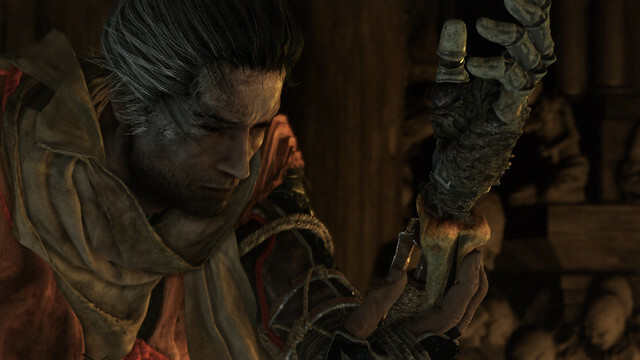 Sekiro: Shadows Die Twice is the latest action-adventure game by developer FromSoftware and like its predecessors, you learn as you play. It is difficult but a lot of fun! 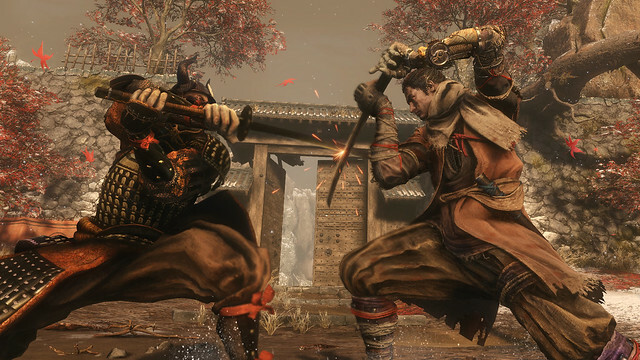 Set in the closing years of the Sengoku Era in Japan, you are Sekiro (aka Wolf) who serves a young master, The Divine Heir, who has been taken captive. 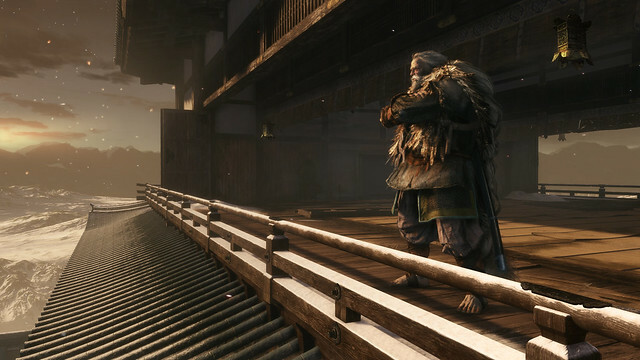 During his rescue, the samurai leader of the rival Ashina Clan stops you, taking your arm and leaving you to die … or so you think. Upon awakening, your arm has been replaced with a prosthetic by the Sculptor of the Desolate Temple who saved your life. This is where the game truly begins. Personally, the story is quite simple and could use more yet it doesn’t need it. It’s simple and to the point, but it continually adds layers as you travel the world and talk to the Sculptor and others along your way. It’s a nice, subtle touch. Graphically, the game is pretty amazing. From the moment you start to when you’re revived as well as seeing the characters reinterpreted based off Japanese legends and folklore is interesting to say the least. The battle-torn map from the war mentioned at the beginning of the game is done very well. However, after looking at it on PS4, it’s not as pretty as the PC or Xbox versions. It’s a little more gritty, but it’s nowhere near bad enough to really complain about. Gameplay wise, it is challenging and the controls respond how you think they would when playing a game like this. I believe the parrying needs a little refining as trying to deflect an enemy’s attack right now is a hit or miss because you feel too weak against an enemy’s attack if he hits you. You can hold the same button to guard with no problem, however, your guard can be broken so watch out. Bigger enemies are threats in these games; you must be wary as they can deal greater damage and have two health bars. Successfully taking them out will reward you with a prayer bead. When you collect four, you will increase your health. Smaller samurai enemies will either carry a katana, a spear, or a rifle to fight against you while the third kind of samurai (a sentry) will warn everyone of your location if he sees you. Of course, there are smaller enemies too. Lizards are poisonous that will drop money or items to use in combat, like other samurai in game. Sometimes there are spots where it looks and feels like there are too many enemies so it can be more challenging than it should be. After a few tries though, you’ll find the best strategy to eliminate them. Bosses and mini-bosses are challenging as well, but each has a pattern for defeating them. Defeating enough enemies will allow you to collect skill points to spend and acquire new shinobi skills. Traversing levels by rooftops and trees is something I am thoroughly enjoying! Using the grappling hook to pull myself up to a higher spot and then being able to take out an enemy is a lot of fun (but only on the weaker enemies). When roaming throughout the world, you will come across prosthetic tools to upgrade yours to utilize in combat. The first one you’ll find is for shuriken and once you’ve taken it back to the Sculptor, you will be able to carry up to fifteen to throw at enemies which can come in handy when targeting them from behind. You can use up to three at once, and there will be quite a few so feel free to experiment to find what works best against bosses. The sound in the game is phenomenal with headphones on or even playing with the sound coming through the TV. If I had to choose though, I would go with headphones because you can hear the extra, little details they added in (like hearing where enemies are or the burning embers in the distance from fire pits). The voice acting is a little weird for me because, as someone who watches anime in Japanese or from playing games like Yakuza, I am so used to a Japanese cast over an English one. Regardless, the English cast does a wonderful job bringing these characters to life. I can’t stress that enough. In the end, this release feels like a great addition to FromSoftware’s collection of games and is definitely worth picking up right now. It has a lot of replayability and dying doesn’t discourage you from playing (even with the parry issue I mentioned above). 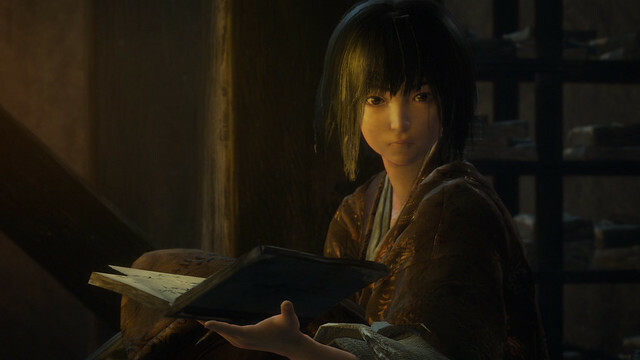 If I had to give any advice, especially for Sekiro here, is to explore, explore, explore! You’ll want to do this in order to discover everything from idols to prosthetic parts to shopkeepers and more. Also, don’t be afraid to die … it’s a learning experience. In the end, this release feels like a great addition to FromSoftware's collection of games and is definitely worth picking up right now. It has a lot of replayability and dying doesn't discourage you from playing (even with the parry issue I mentioned above). If I had to give any advice, especially for Sekiro here, is to explore, explore, explore! You’ll want to do this in order to discover everything from idols to prosthetic parts to shopkeepers and more. Also, don't be afraid to die … it's a learning experience.